Blog | October 2016 | Win £250 Worth of Craft Products by Completing our Survey! 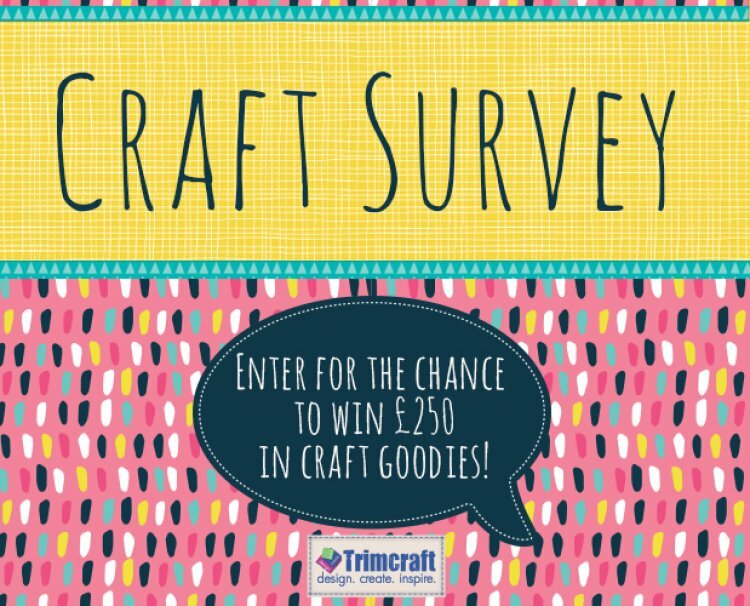 Win £250 Worth of Craft Products by Completing our Survey! To make our content even better, we want to know what products you love, your favourite craft trends and more! We really appreciate everyone taking the time to complete our survey so we have put together an exciting bundle of goodies that we think you’ll love. Our craft prize includes a Cricut Cuttlebug, a selection of First Edition die sets, Dovecraft Dies, First Edition pads, albums, stamp sentiments, adhesive pearls, paper flowers, Simply Creative gems and a glittered decoupage pad. This ultimate craft bundle will be fantastic to use all year round and is perfect for craft enthusiasts or newbies! To be in for the chance to win this collection, simply follow the link to complete the survey. This survey closes on the 30th November, make sure to complete yours before this date!